Which marketing metrics matter most to my boss? You've likely come out of c-suite marketing meetings asking this very question. You seem to hit some marketing reporting sweet spots but miss the mark too often, leaving you feeling like the target is always on the move. You know analytics reporting is more robust than ever. You've seen the host of tools, both free and fee-based, that offer push-button analytics reporting that place copious amounts of marketing data at your fingertips. 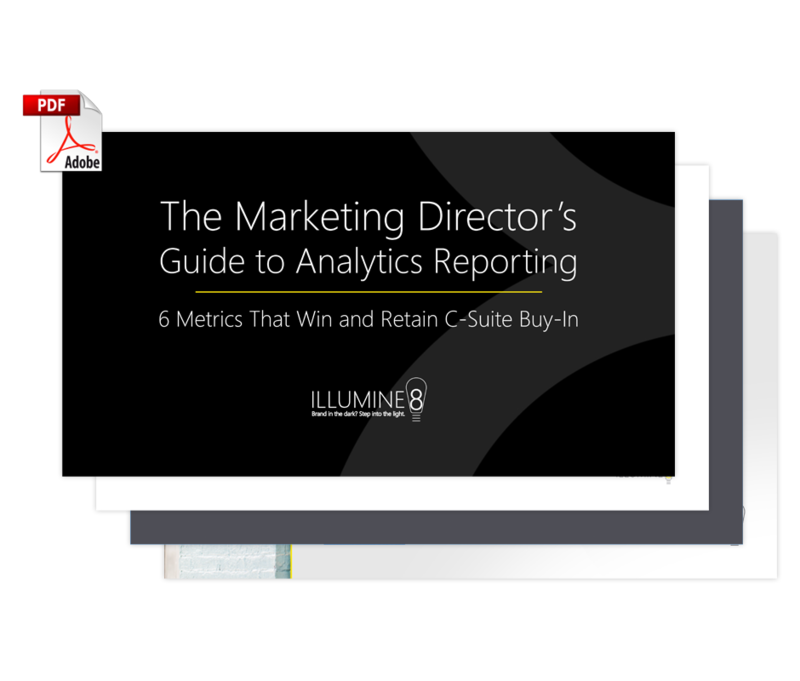 As the marketing lead, how can you wade through this sea of data and distill which analytics matter most to your bosses? Get your free download today by filling out our brief form.